Canons of taxation refer to the administrative aspects of a tax. They relate to the rate, amount, method of levy and collection of a tax. In other words, the characteristics or qualities which a good tax should possess are generally described as canons of taxation. j) Canon of functional efficiency. 1) Canon of Equality: The canon of equality or equity implies that taxation must ensure justice. the burden of taxation must be distributed equally or equitably in relation to the ability of the tax payers.Equity or social justice demands that the rich people should bear a heavier burden of tax and the poor a lesser burden. Hence, a tax system should contain progressive tax rates based on the tax-payer’s ability to pay and sacrifice. 2) Canon of Certainty: Taxation must have an element of certainty. According to Adam Smith, “the tax which each individual is bound to pay ought to be certain and not arbitrary. The time of payment, the manner of payment, the amount to be paid ought to be clear and plain to the contributor and to every other person.” The tax payers should not be the subject to arbitrariness and discretion of the tax officials, in which case there will be a scope for a corrupt tax administration. 5) Canon of Productivity: It is also called the canon of fiscal adequacy. This canon implies that a tax must yield sufficient revenue for the treasury and the government should not be forced to restore to difficult financing. 6)Canon of Simplicity: This canon recommended that tax rates and tax systems should not be too complicated. That makes it difficult to administer and understand. Tax system ought to be simple and comprehensible. 7) Canon of Elasticity: Taxation should be elastic in nature in the sense that it become possible for the authorities, without undue delay, to revise the tax structure, coverage and rates and to suit the changing requirements of the economy. It means that taxation must have built-in flexibility. 8) Canon of Diversity: Canon of diversity implies that there should be a multiple tax system of diverse nature rather than having a single tax system. In the former case, the tax payer will not be burdened with a high incidence of tax in the aggregate. There should be a wide admixture of direct and indirect taxes. 9) Canon of Expediency: Taxation should be determined on the ground of its economic, social and political expediency. For instance, a tax on agricultural income lacks social, political or administrative expediency in Bangladesh and that’s why the government of India had to discontinue it. 10) Canon of Functional Efficiency: A tax policy needs to be efficient, operative and effective so that it can generate sufficient revenue for the government in order to ensure the economic development of the county. The system should be able to reduce the harassment and tax avoidance. 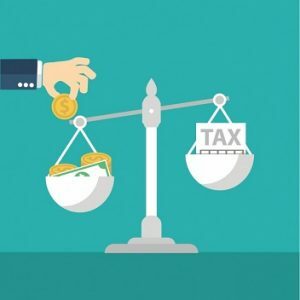 The above context clarify that the tax structure is a part of overall economic philosophy and tax system that satisfies these basic canons can be termed a good one.